My football journey started at the Lang Lang Football Club, where I participated in AusKick from a young age. It was there that I was afforded the opportunity to play the game I loved, despite being the only girl out there. I progressed through to playing under-13s with the Tigers in the Ellinbank and District Football League and loved every minute; always welcomed and felt a part of the team and club. We never reached the pinnacle, but running out in the yellow and black every Saturday morning – often in the mud, fog and rain – was the highlight my week. I still remember the bitterly cold mornings where at quarter breaks, with everyone absolutely freezing, we would dip our hands in buckets of hot water to warm up. We did it knowing full well that as soon as we took our hands out, they’d be even colder! League rules meant I was unable to play past the under-13s with Lang Lang, which was when I headed to Cranbourne. 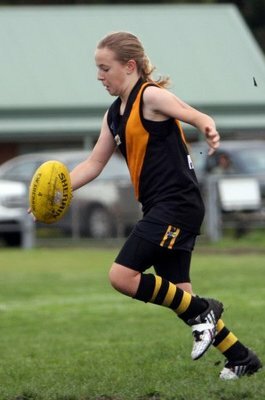 In five seasons with Cranbourne in the under-18 Youth Girls competition, we won three premierships and we claimed another premiership in Division 1 of the Victorian Women’s Football League in 2015 – defeating Knox by one-point. 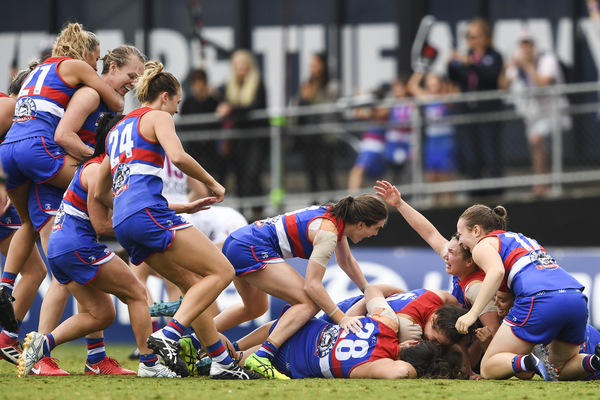 In 2016, I was drafted to the Western Bulldogs and after a season full of learnings in 2017, we claimed the 2018 AFLW premiership, defeating Brisbane by six points on a very wet day in March. Thinking back to where it all began, people within the local community and around the football club at Lang Lang were pivotal in giving me the confidence to play the game when it wasn’t in vogue. I was never made to feel out of place and was instead encouraged to keep playing – something that I’m extremely grateful for and if I hadn’t have been treated in that respectful way, I doubt I would still be playing today. When I made the move to Cranbourne, I never could have imagined the doors that would be opened and the life-long friends that would be made by playing female football. Travelling interstate and winning national championships and premierships with mates was just amazing. Now at the Bulldogs, seeing the effect the AFLW has had on female sport – not just football – has been extraordinary and a privilege to be a part of. The good news is that this is just the beginning, with more females being involved in sport around the country than ever before.